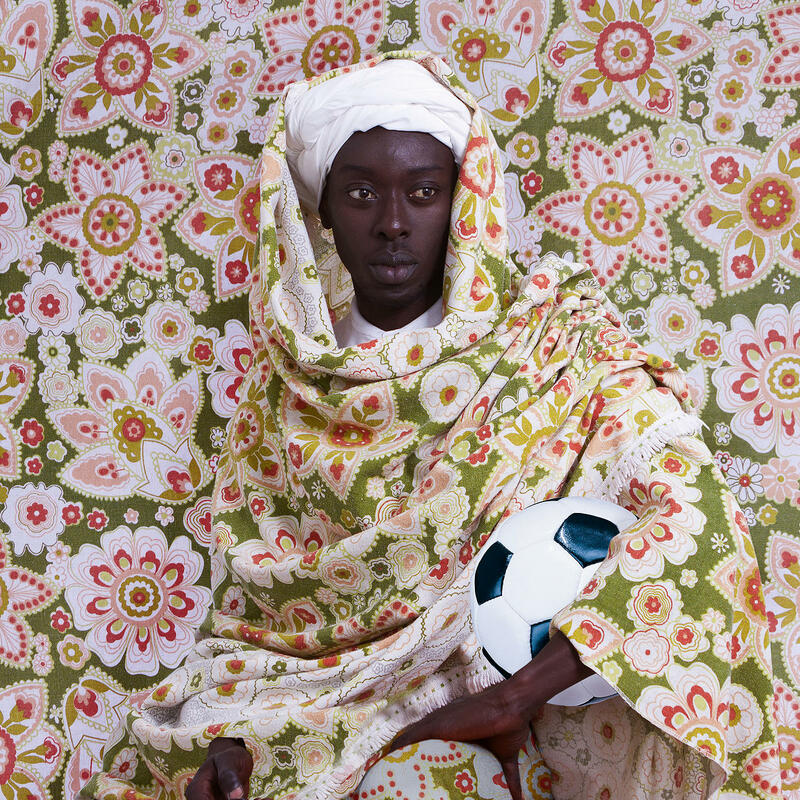 Identity and discovery–at both the collective and personal levels–are themes in the forefront of Omar Victor Diop’s Project Diaspora. 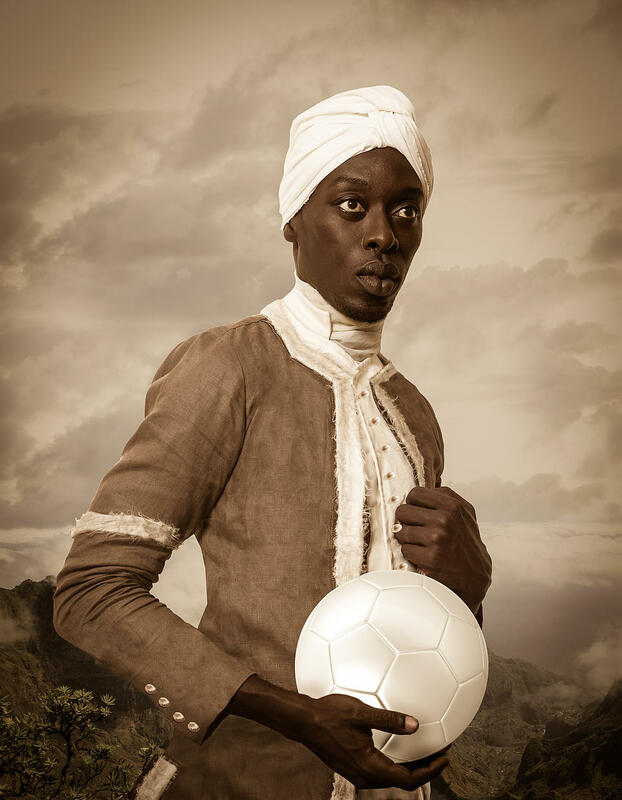 A journey through time, the photographic series delves into and exposes less spoken narratives of the role of Africans out of Africa, between the fifteenth and nineteenth centuries. This is the case of Mmadi Makes, known as Angelo Soliman, a man who came to hold one of the most important position of the time: royal tutor of the heir to the Prince, Aloysi I. He made a significant contribution to Masonic lodge Zur Wahren Eintracht – a lodge to which Mozart and Joseph Haydn belonged -, as Venereabile Maestro. It was in this role that he initiated one of the biggest changes in the ritual of the Lodge, one that has reverberated down through the ages. For this reason he is still celebrated in Massonic rites as “Father of Pure Masonic Thought”, with his name usually transliterated as “Angelus Solimanus”. 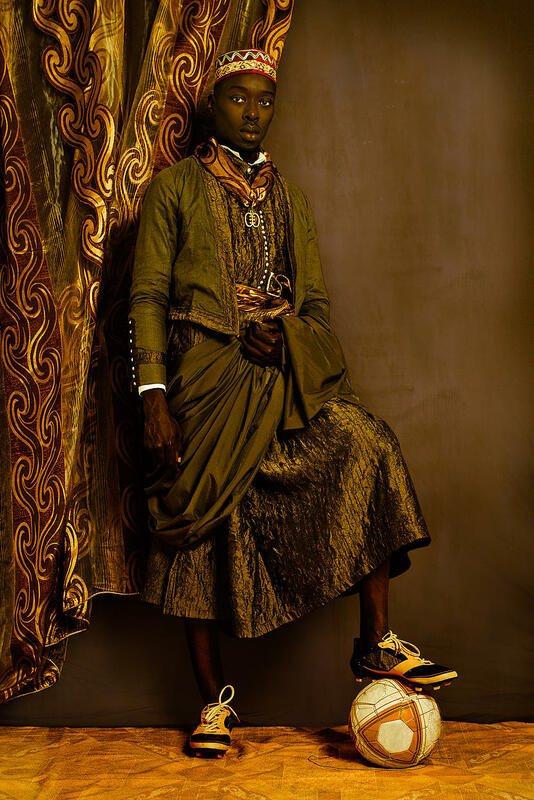 Despite his distinguished career in the enlightened circles of the capital, Soliman was posthumously displayed in a museum as a half-naked ‘savage’, adorned with ostrich feathers and shells. This mummy was on display until 1806 alongside stuffed animals, transformed from a reputable member of intellectual Viennese society into an exotic specimen. 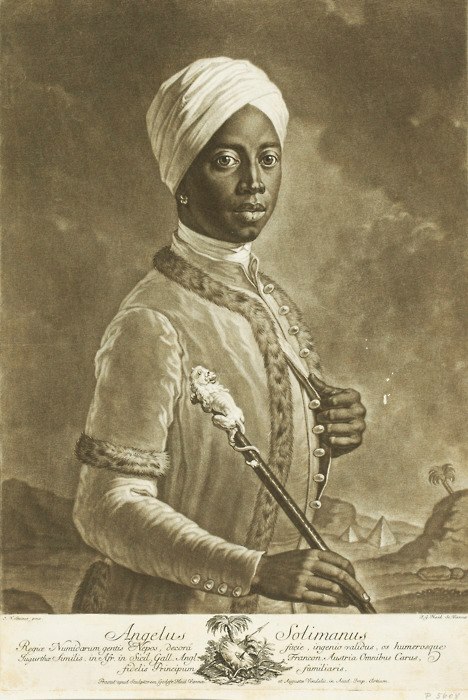 Angelo Soliman born in Africa in 1720/21. 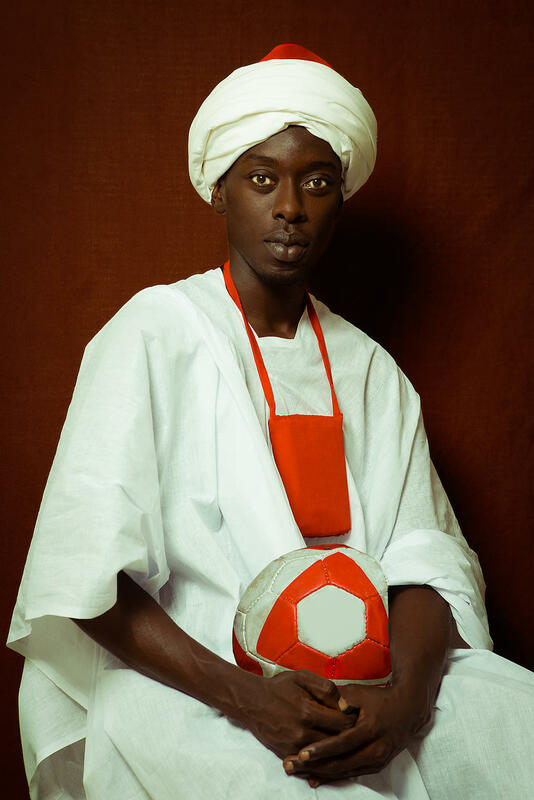 His original name, Mmadi Make, is linked to a princely class in the Sokoto State in modern Nigeria. Around the age of 7 he was taken captive as a child ahe was given as a gift. In 1734 he was given as a gift to the imperial governor of Sicily. After the death of Prince Lobkowitz, Soliman was taken into the Vienna household of Joseph Wenzel I, Prince of Liechtenstein. Soliman was highly respected in the intellectual circles of Vienna and counted as a valued friend by Austrian Emperor Joseph II. 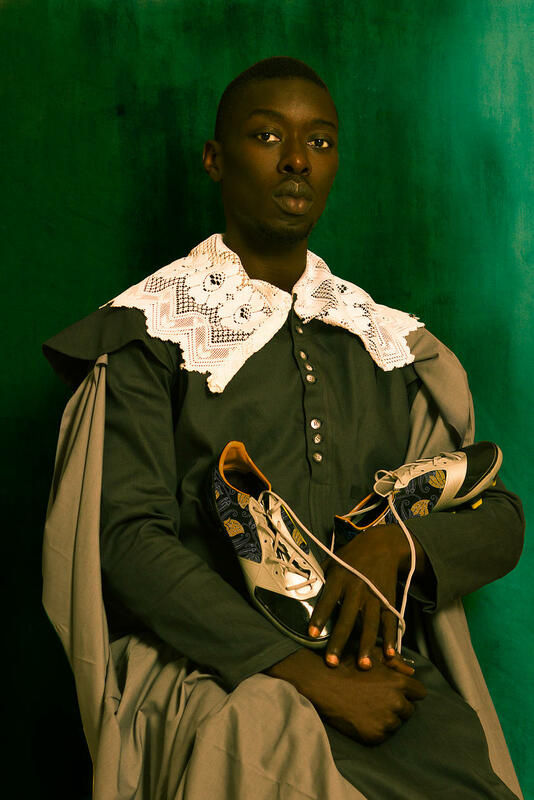 Using portraits of notable Africans in European history as his inspiration, Diop pits their life-journeys and legacies with those of his own, and further defining his intrigue of the singular destinies of travellers and those in alien environments. family of soldiers in three different German armies: under the Kaiser, Hitler and Chancellor Adenauer. 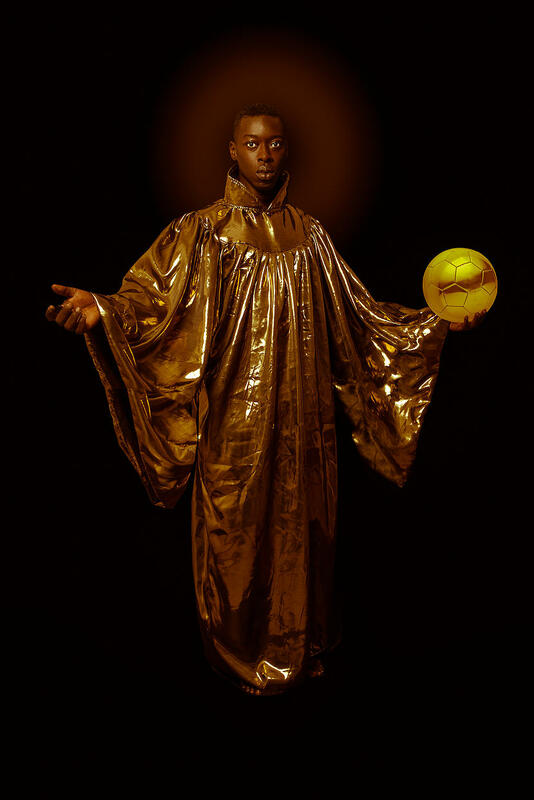 Choosing, for the first time, to use himself as object in his artwork, he has delved into the realities of being both narrator and character, forcing him to face his insecurities head on, and uses references to sport, football in particular, to show the duality of living a life of glory and recognition, while facing the challenges of being “other”. 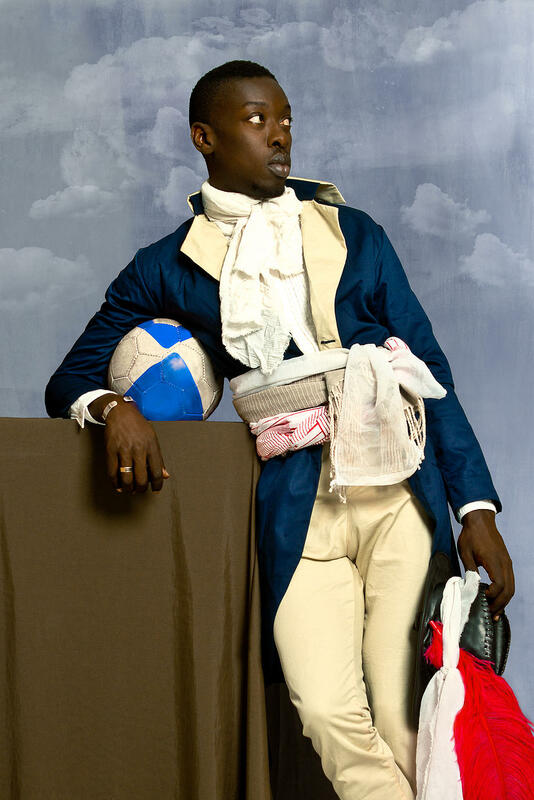 Paradoxes he finds are shared between modern day footballers in Europe and the men of the original portraits depicted in his self-portraits. In 1643 or 1644 Don Miguel de Castro and two servants arrived as part of a delegation sent by the ruler of Sonho, a province of Congo, via Brazil to The Netherlands. 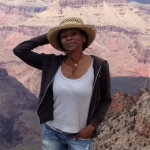 One objective of the journey was to find a resolution to an internal conflict in Congo. Jean-Baptiste Belley was a native of Senegal, born on the Island of Gorée and former slave from Saint-Domingue in the French West Indies (Haiti). During the period of the French Revolution, he became a member of the National Convention and the Council of Five Hundred of France. He was also known as Mars. 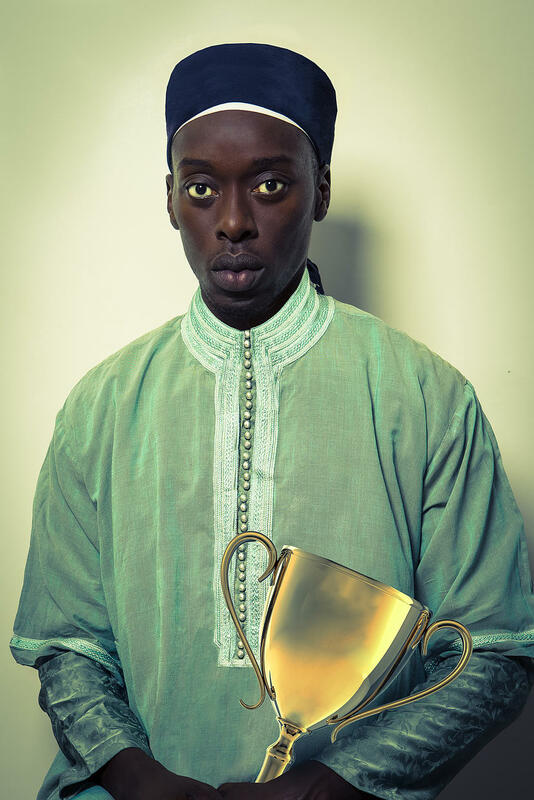 Ayuba Suleiman Diallo was a famous Muslim who was a victim of the Atlantic slave trade. Born in Bundu, Senegal, Ayuba’s memoirs were published as one of the earliest slave narratives, that is, a first-person account of the slave trade. 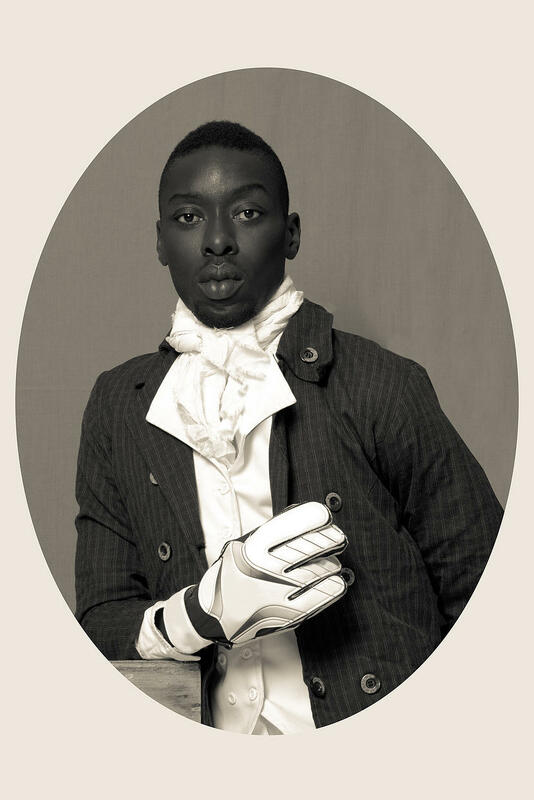 Shipped to Annapolis, Maryland, Diallo spent two years there as a slave on a tobacco plantation; and afterwards being brought to England, was set free and sent to his native land, in 1734. José Tapiró y Baró was a Catalan painter. One of his closest firned was the painter Marià Fortuny with whom he shared an interest on Orientalism. He was a master of watercolor painting. 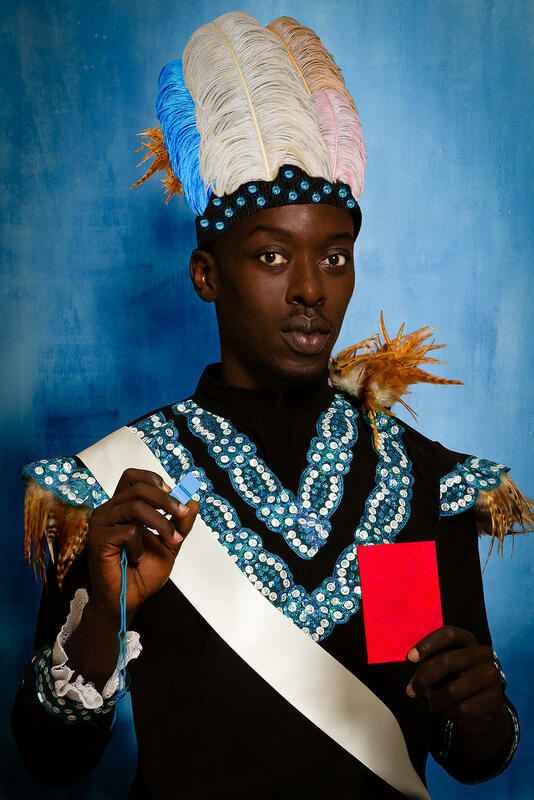 With plans to widen Project Diaspora’s scope to Asia, the Americas and Middle East, Diop hopes his project lends to the current debates, accusations and impacts of migration and immigration, and reshapes thoughts on the histories of Africans discovering the world. 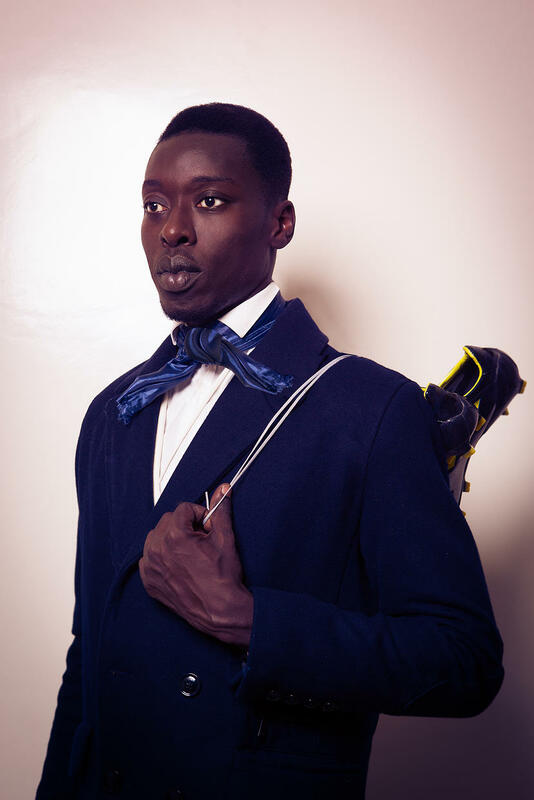 Dom Nicolau, prince of Kongo. He’s perhaps the earliest African leader who wrote publicly to protest colonial influences. He protested against Portuguese commercial and political activity and military expansion by publishing a letter in a Portuguese newspaper in Lisbon. 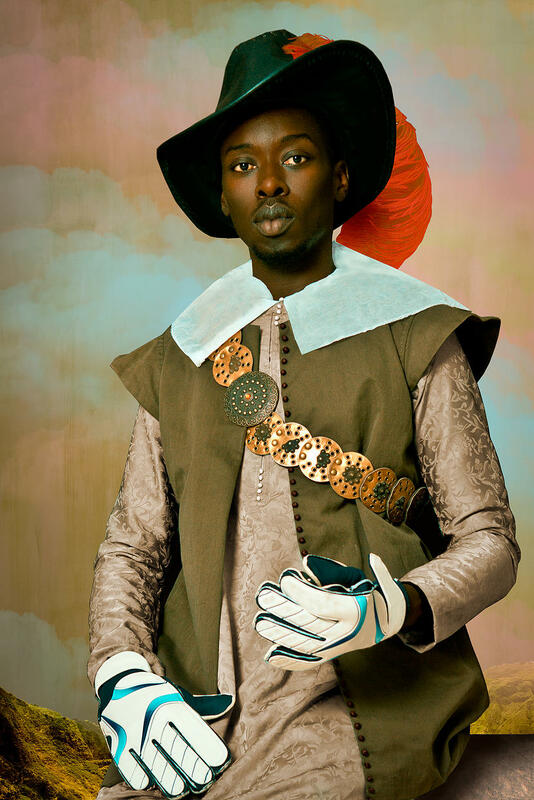 Kwasi Boakye was a Dutch mining engineer who was born a Prince of the Ashanti Empire. 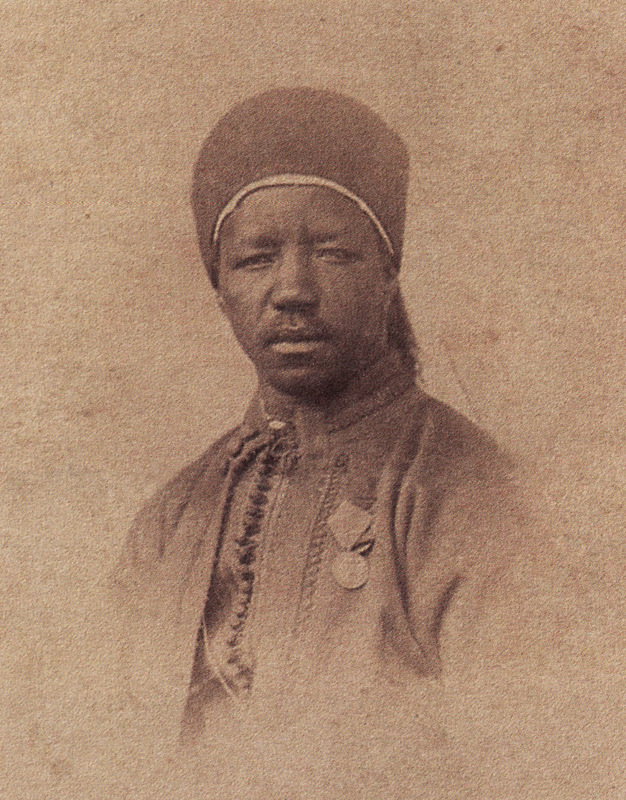 he was sent in 1837 by his king to the Netherlands to receive education, as part of larger negotiations between Ashanti about the recruitment of Ashanti soldiers for the Dutch East Indies Army. He was trained as a mining engineer at the fore-runner of Delft University, where he graduated in 1847. In 1850, he was sent to the Dutch East Indies. Juan de Pareja, the “Morisco” was a Spanish painter, born of slave half-African parents in Antequera, near Málaga, Spain. He is primarily known as a member of the household and workshop of painter Diego Velázquez. De Pareja became Velazquez’s assistant sometime after the master returned to Madrid from his first trip to Italy in January 1631. 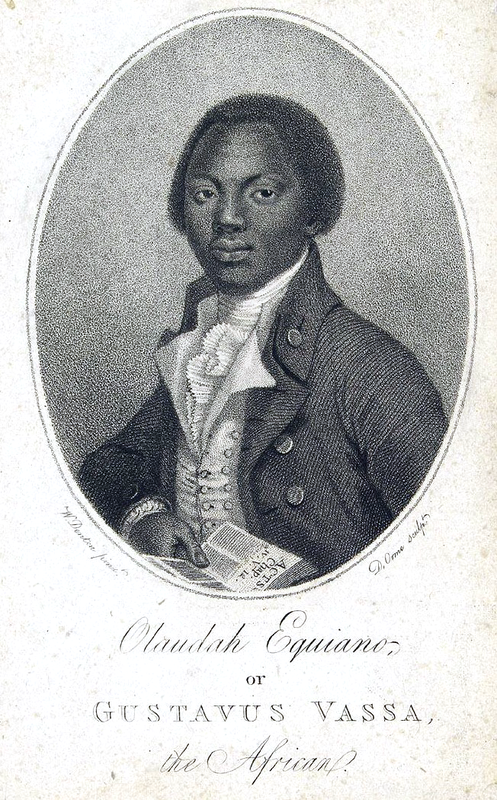 Olaudah Equiano, known in his lifetime as Gustav Vassa, was a prominent African in London, a freed slave who supported the British movement to end the slave trade. His autobiography, published in 1789, had attracting wide attention was considered hihly influential in gaining passage of the Slave Trade Act 1807, which ended the African trade for Britain and its colonies. Adolf Ludvig Gustav Fredrik Albert Badin, née Couchi, was a Swedish court-servant and diarist, originally a slave, butler of first Queen Louisa Ulrika of Prussia and then Princess Sophia Albertine of Sweden. became an important member of the Swedish court. Among other things, he was a roving ambassador and even royal weather forecaster and court chess. player. He possessed a library of 800 books and twice married aristocratic women, although he produced no offspring. His original name was Couchi, but he was commonly known as Badin, which means mischief-maker or trickster. 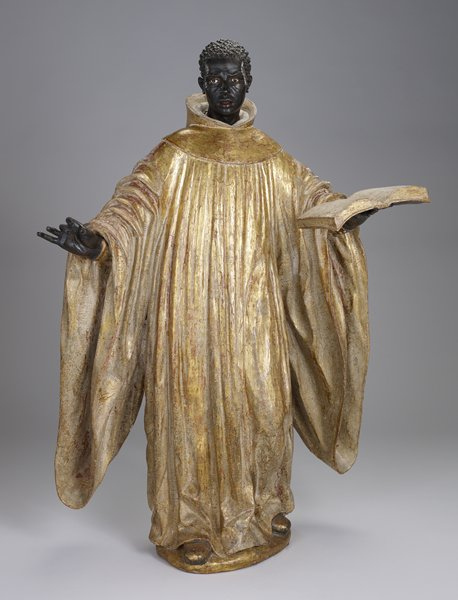 Benedict the Moor was an Italian Franciscan friar in Sicily who is venerated as a saint in the Catholic and Lutheran churches. Born of African slaves, he was freed at birth and became known for his charity. Benedict was beatified by Pope Benedict XIV in 1743 and canonized in 1807 by Pope Pius VII. Benedict is remembered for his patience and understanding when confronted with racial prejudice and taunts.